Damn! need to download again previous wersion 1.93 gb. Agrrr! ps. The best modern engine of QII, indeed. 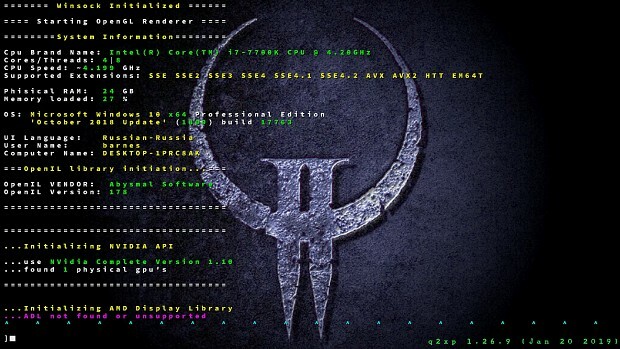 quake2xp 1.26.9 beta2 has not been tagged yet.